Winter is gone, we see green leafs everywhere and are happy to finally spend our time again in parks and terraces in Cologne. Remember the terrace at the Phyne, close to the University? End of April this great place once again is dedicated to us. 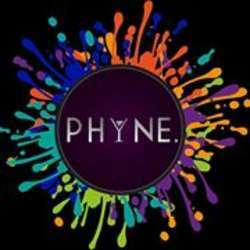 Phyne will open its doors for InterNations only, offering you great cocktails, ambient music and, of course, the terrace. Join us for a perfect night and enjoy international minds, ready to celebrate Spring 2019! We are striving to get our favorite DJ that night, crossing fingers he's available and ready to get you on the dance floor - stay tuned and register! However, please remember: participate if you registered or cancel your registration in time - this helps us a lot to keep venues interested in hosting our events.